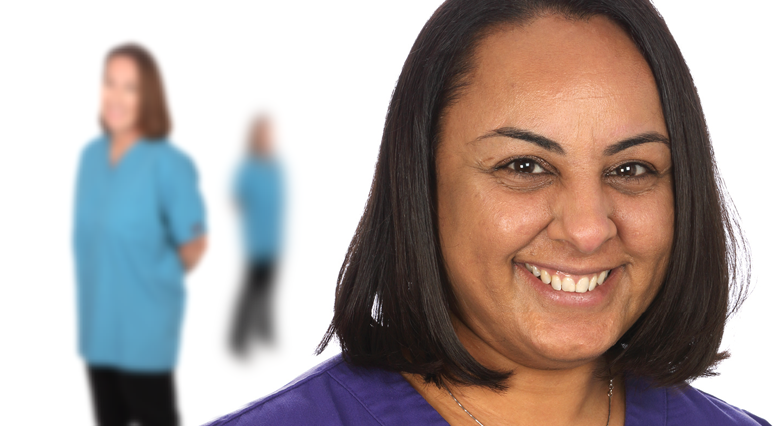 At Williams Dental Practice we advise you individually on the best approach to good dental health and hygiene. We’ll also discuss fully with you the options available for any treatment you may require – both restorative and cosmetic. Restorative treatment helps repair teeth that have been damaged or lost through decay or chipped in accidents. It can also be used to improve appearances by closing gaps, repairing chips and treating discoloured or unsightly teeth. Veneers provide a wafer thin mask of porcelain to hide discolouration and close unsightly gaps with little or no work being needed on the tooth itself. Bridges can be used to firmly fit a replacement tooth or teeth, which are carefully attached to adjacent teeth. Dentures in metal or acrylic are used to replace lost or missing teeth. Their appearance can be changed to make them more natural looking. Unsightly metal fillings can be replaced by natural-coloured fillings to improve the look of your smile and allow you to laugh with confidence. Dental composite fillings can be used for filling new cavities, replacing metal or amalgam fillings, repairing chipped teeth and also can help to remove gaps between teeth. Ask us about the options available for brightening your teeth. Amreeta Sanghera MSc is trained in botox® and dermal filler treatments and offers both these treatments at the practices. Amreeta is accredited and is on the “Treatments you can Trust” register. Dermal fillers are used as an effective treatment for deep lines and wrinkles. They can help reduce deep lines and wrinkles, fill hollows and smooth the contours of your face. Anti-ageing facial fillers are the non-surgical way to achieve younger looking skin and provide volume for tired lines and wrinkles. For what purposes should it be taken?